Your residents need quality leadership in order to engage in the fitness services. So if you read part 1 in this blog series, you read about how your investment in wellness cannot stop with capital dollars. In this section we’re focused on why your residents need quality leadership in order to engage in the fitness services. Let me start perhaps with a list of exclusion—a list of what quality leadership is not. It is not limited to a traditional 1990s model of group fitness classes and a very part-time, questionably qualified attendant. It is not a personal trainer service (fee-based or free). It is not a silo-style environment where fitness is an island operating independently of what’s happening with activities, or resident services, or dining or other continuums of the community. If any of that sounds familiar, I have a bad news/good news message for you. Bad news: You’re stuck in a decades-old model. It may be working for you, but it’s worth asking whether it’s truly delivering on your brand promise. I would submit to you, at the very least, that if you’re working within a dated model, you’re lacking the capacity to truly be forward thinking. If your fitness services were built to be really strategic and forward thinking, you wouldn’t still be partying like it’s 1999. Good news: You have fantastic opportunities to do more for your residents through your fitness program. Quality fitness leadership for your residents isn’t rocket science, but it does require some core skills that are learned through an accredited university curriculum, as well as soft skills that articulate a true passion for serving the residents in your community. No doubt, you have more than enough practice at ferreting out the soft skills piece; after all, finding people who want to make a career out of serving our elders is your business. But understanding the technical competencies required in a qualified fitness center manager for your senior living community may be a little trickier. And then once you’ve found that qualified individual, you need to be prepared to take a strategic approach to on-boarding them in your community, which includes preparing both existing staff and residents for the new personnel. Make sure you get familiar with the candidate’s credentials. Carefully evaluate certifications they list; not all fitness certifications are created (or earned) equally. Require the candidate to demonstrate the skills required for the job. 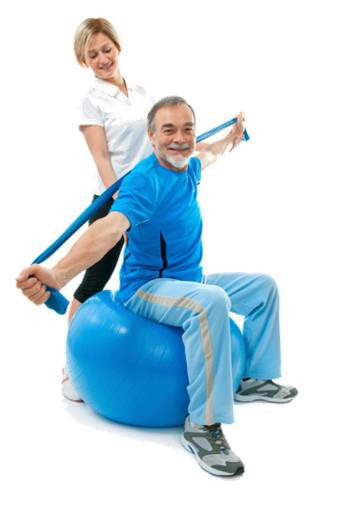 If you need them to teach group exercise classes for your residents, have the candidate provide a demo. If you need someone who can administer a senior fitness test, talk through that testing with the candidate or host a mock test as part of the interview. Ensure the candidate can program for your audience. Evaluate their capacity to create print materials that fit with your brand, as well as the skills to execute a program from start to finish. I’m here to tell you that those capable and passionate professionals do exist. We’ve written extensively about how to hire and how to successfully onboard fitness and wellness professionals. If reading isn’t your thing, consider watching our webinar on building better wellness staff in our Build Vitality webinar series. To discuss in greater detail, drop me an email and we can take a closer look at what you need as well as options on how to get there. Subscribe to our blog now to make sure you can catch part 3 of this blog series: What marketing needs in order to really sell your new amenity to prospective residents. We’re a staffing organization – we provide well-credentialed and passionate fitness professionals to manage senior living fitness centers and corporate fitness programs for our clients. To say we know a thing or two about interviewing could be, perhaps, an understatement. Over the last 20+ years we’ve hired hundreds of staff to fill a variety of fitness-focused positions for a diverse clientele. We have definitely made some mistakes and we’ve lived to tell about it. Hiring is a risky proposition and that’s true for any type of opening you have. But when you’re talking about the health of your residents or your employees, are you prepared to make a hiring decision for a job about which you don’t understand the credentials or the essential duties? Think of it this way: You don’t repair your own brakes on your car – that’s what your mechanic is for. Why would you tackle hiring for a position about which you know nothing? In the end, you may want to consider pulling in an organization like ours that does this for a living. But, if you insist on pressing on to hire your own staff, check out our top three lessons learned on interviewing health-focused staff. Tip #1: Do a double check on candidate credentials. Our business IS fitness, so we’ve seen the credentials that are out there. But if you’re an executive director trying to staff your senior living community fitness center, or a human resources executive hiring for your employee wellness program, how do you know that the credentials presented by a candidate are worth their salt? Don’t take this the wrong way, but…you don’t. The sad truth about fitness is that personal trainer certifications are a dime a dozen. You, dear reader, regardless of your educational background, could jump online tonight and within a short window of time, be a “certified personal trainer”. So be careful about credentials for the candidates you interview because they don’t always carry a lot of weight. And until the industry initiates registration or licensure, hiring a fitness instructor who carries a certification that isn’t backed up with health-related bachelor’s degree is a very employer-beware circumstance. In order to win an interview with NIFS for a fitness-focused opening, candidates are required to have at least a bachelor’s degree in a health-related field. This doesn’t guarantee right fit for the opening, but it’s a good start. To that end, there probably dozens of degree program names for an allied health type of career: Kinesiology, Exercise Science, Health Promotion, Wellness etc. If you’re unsure about if/how the candidate’s degree fits for your opening, you can ask some pointed questions about the coursework the candidate completed, or direct your questions to the types of tasks she performed at another job. Case in point: We had a candidate with a health promotion degree apply for a fitness center manager opening. When we dug a little deeper on her background in anatomy and physiology, she responded by saying something like, “You know, the ankle bone is connected to the shin bone, and the shin bone is connected to the knee bone.” I’m not kidding. You can’t make this stuff up. Tip #2: Require the candidate to demonstrate her skills. In a field where your candidate will be working with employees or residents to help individuals improve their health, where there is a lot of hands-on work, it will be imperative that they can demonstrate competency in those practical skills. You can ask a candidate about her experience teaching group fitness and she may impress you by describing the formats she’s taught, the audiences to whom she’s taught, and the feedback she’s received from her participants. But until you see her in action, her words are useless. Trust me, I know enough about group exercise that I could talk a really good game about my style, my music, they ways I modify classes for participants, and the anecdotes participants in my classes have shared with me. And it would all be just words. All you have to do is ask me to teach a five minute core class and you would quickly see that teaching group exercise is not on my list of gifts. Provide us with copies of print materials they’ve created for other employment or in school. Evaluate a health history questionnaire according to the American College of Sports Medicine (ACSM) risk stratification. Write and administer an exercise program from a case study. Teach a short group exercise class. Provide a brief wellness presentation. Case in point: Each time we offer an interview to a candidate, they receive an email outlining everything they should be expected to do during the interview. One time, we had a candidate accept the offer for an interview after receiving a detailed email from us. When we got the part in the interview where we require the candidate to evaluate a health history questionnaire according to ACSM risk stratification, she looked at me and asked, “What’s risk stratification?” Seriously. Tip #3: Make sure the candidate understands your audience. It’s worth noting that today’s graduates are moving through health-related degree programs that require an internship to graduate. But there was a day (trust me, I would know about this) when degree programs did not require an internship. Use the required internship that your candidate has under her belt to dig a little deeper into that individual’s preferred clientele. Let’s face it, not everyone can hack it in a corporate wellness program based in a manufacturing setting. Some candidates would be bored in a white collar office environment, and still others have no business working with an active aging audience in a senior living setting. Ask some probing questions to find out whether your candidate really fits your environment and your audience. Case in point: On more occasions than I care to admit, I have interviewed candidates who, when talking about the demographic with whom they prefer to work, have indicated that they’re OK working with “older adults”. When I press what they mean by “older adult”, they say something like, “You know, adults over maybe age 40 or 45.” And I used all the energy I have left not to laugh out loud. What to do about your candidate opening. If this blog has you wondering about your ability to hire your own fitness professional, particularly in a senior living setting where you really have to nail both the hard and soft skills in a candidate, check out our recorded Build Vitality webinar series. The third webinar specifically addresses hiring capable staff.